The ‘spell’ in spelling was meant to create a magical trance over you – to obstruct the true meaning of the essence of the Creator. Many occult (33-degree freemasons, illuminati, cabal, etc.) secrets are hidden within spelling and grammar, but it doesn’t take much digging to reveal them. For instance, as per Thoth, the Egyptian God of learning, wisdom and magic, (also depicted in ancient hieroglyphs as a man-bird) the purpose of spelling is to cast magic energy with a definite purpose. 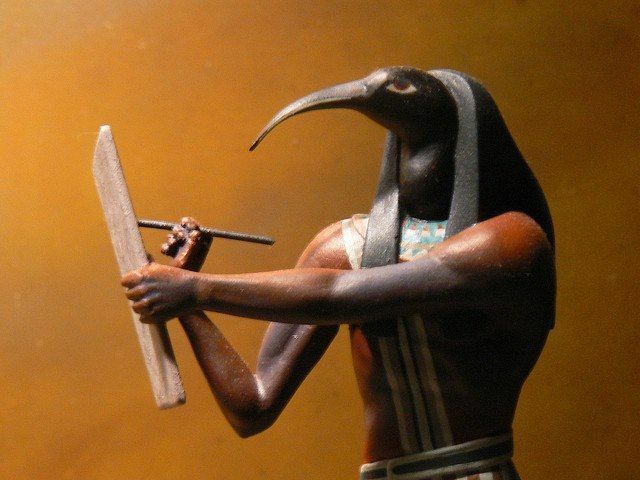 Myths surrounding Thoth even say he created himself through language – but this is eerily egoistic, and suggests deep occult powers beyond just being able to win a spelling bee. 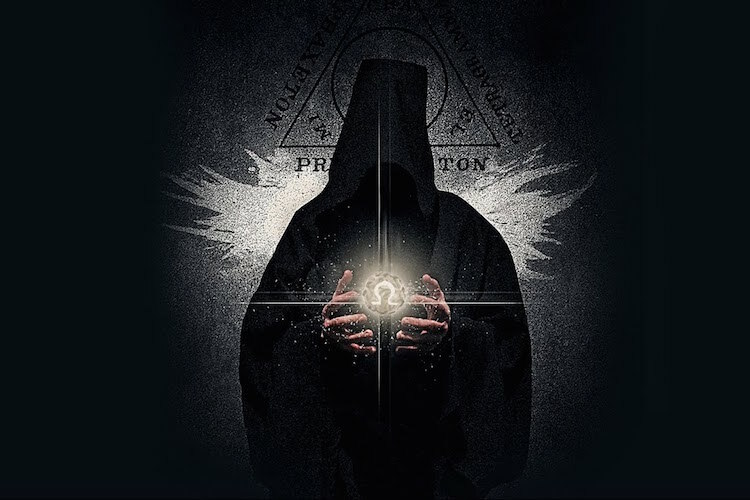 If the occultists want to control a population they simply delete, distort, and generalize the truth. This is the Meta Model used behind most of MK Ultra and other mind control techniques utilized by the Deep State. Language and grammar are one of the primary means to distort truth. When powerful people utilize certain speech patterns, they appear to know the truth about something, but they don’t truly understand what other people think, feel, and believe. This is irrelevant, because the aim is to convince them through a “spell” – what is “true” to the Occult Paradigm. To see an example of this in action, we could look at thousands of hours of political speeches, but we’ll keep it simple and direct for now. This is called a lost performative. It assumes that something is true without any concrete proof. Who determines what is sensible? What academic standards are we talking about? Who will determine them? The next problem is with the absolutism of the statement. Should you disagree that “all parents agree” you are automatically in a position of opposition to power. You’re bucking a “truth” that everyone else has already accepted. Then, “certain academic standards” is also rife with ambiguity. It’s a vague term meant to cast a large net so that as many people as possible will be caught in it. This phrase also uses nominalization. How would you know when you’ve achieved “developmentally appropriate standards?” Is this some arbitrary set of rules meant to teach our children nothing at all, or something of great importance? Time has shown that Common Core did exactly what its makers promised – confused the hell out of kids and teachers alike with double speak and backwards math, but the ‘spell’ to get it implemented worked. Finally, we have, “where developmentally appropriate.” This is more lost performative phrasing. It implies a judgement about child development, without taking any responsibility for what that is. Consider that this is a single sentence, with spelling and grammar in a sea of the CIA-sponsored, occult-referenced, decades-long, interdisciplinary study into mind control. You need to explore way back before Operation Paperclip, and into the deepest known annals of human history to find the magic of language and its use by occultists – this is what informs all mind control programs today. That’s from a real 1952 CIA memo. Now recall what Thoth, the Egyptian bird-God said the purpose of language and spelling was: to cast a magic spell with a specific purpose. The words ‘write’ and ‘writing’ also contains ‘rite’ as in ceremony or ritual. The words also contain the ‘right’ as in the right angels used prominently by the occult, and found in sacred geometry. The “word” or spiral (whorl) makes the world. This whorl or spiraling energy is the premise upon which divine geometry, including fractal geometry and the Fibonacci series is based. This is also called “God’s Fingerprint,” as it appears in the Golden Ratio (1.618). The Golden Ratio appears to be the main source code that is within all intelligent divine creation and is also the number assigned to man; however the occultists use this whorl (world) and divine plan a bit differently. For example, the Golden Ratio has been linked to the number of the beast (666) because of the false assumption (intended spell) that Divine Geometry can be expressed in integers, which it cannot. If you hit the sin key on a calculator after entering 666, you’ll get this answer – an integer – -0.809016994374948. . . It seems random enough until you know what to look for. We’ve been taught that the ancient Greeks, being master aestheticians, liked their geometric figures to be pleasantly proportioned in alignment with the Golden Mean. In the case of rectangles, they preferred the side lengths to be in proportion as the golden ratio. If you do some fancy calculations and divide by 2 you’ll get the 666. Here’s the problem, though. Using a spell, we’ve been taught (or its been hidden from us) that the Divine Ratio, at least among the occult) honors satan. It does not. As Ruth Tatlow describes in her paper, “The Use and Abuse of Fibonacci Numbers and the Golden Section in Musicology Today,” A complex set of misconceptions about the use of the golden section and Fibonacci numbers in music has evolved in recent years. The terms ‘divine proportion’ and ‘golden section’ to describe Euclid’s DEMR were coined in the sixteenth and nineteenth centuries respectively. Therefore, the “right” angles or the “rites” of the occult are based on the bastardization of the Divine Ratio or the Golden Mean as it occurs in nature. It cannot be drawn by compasses and lines. There are thousands of words and phrases offered by occultists in power to sway your mind and to bend the truth of the Universe. Interestingly, Thoth was even credited with the invention of music – but we know now that even the planets have a song of their own, so how could an Egyptian bird God invent something that was already inherent in the Divine? Odd then, that the CIA has also used music to “break” detainees. When music (another language) is used in a very different (non-cabal or occultist) way it can even cure cancer. As we uncover the methods of the elite to control us, we cannot look past our most basic methods of communication – speech, writing, grammar, and of course, thought. To know is to be free. About the author: Nathaniel Mauka is a researcher of the dark side of government and exopolitics, and a staff writer for Waking Times. PreviousCambridge Analytica Part Two SCL Reblogged from source @ https://neilsandersmindcontrol.com/index.php/jaggyblog/cambridge-analytica-part-two with thanks! !